YT Vanilla - the original pattern in bright colors from the professional team of developers YooTheme. 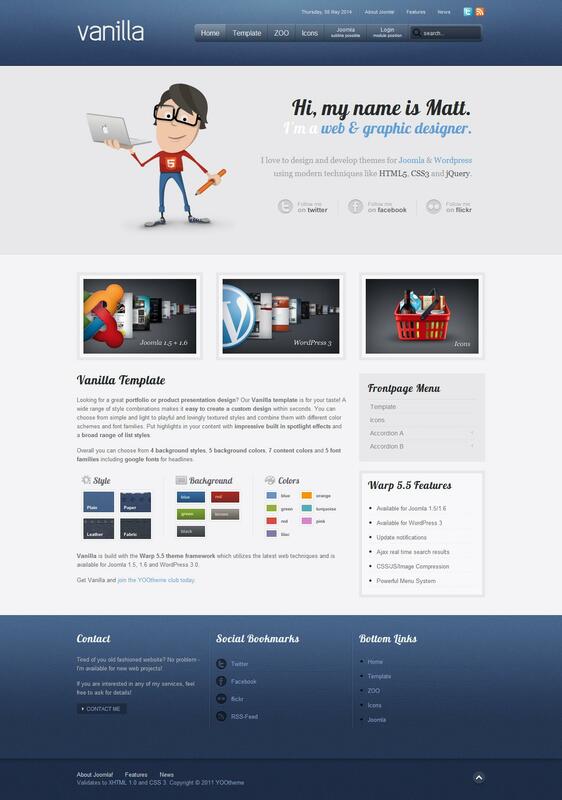 This template is perfect for creating websites on any topic. Modern and elegant design layout contains 8 color styles with the support of various backgrounds for the site and 12 different fonts. Proprietary platform Warp Theme Framework template gives fast download speed, good code optimization and support for mobile devices. The structure of the template includes a new custom style for the widget Slideset, which is included in the corporate toolkit WidgetKit, entirely appropriate design template.